As we all know, Mark Webber is at the end of this year leaving Formula 1. After more than a decade in the business (with a large and loyal following, albeit minimal success) he is off to drive for Porsche in the World Endurance Championship in what may well career wise be an excellent move. F1 is in many ways a stagnant industry – here are 5 reasons Mark Webber is better off without it and out of the business altogether. If F1 is a safe environment both on and off the track, the world of Porsche will seem like a breath of fresh air and the most rebellious thing Webber has ever done in comparison. The racing will be intense and the pressure in many ways greater than in F1…something Webber will undoubtedly relish. Arguably Webber will ultimately benefit in the Porsche Cup because he’s a proper man. 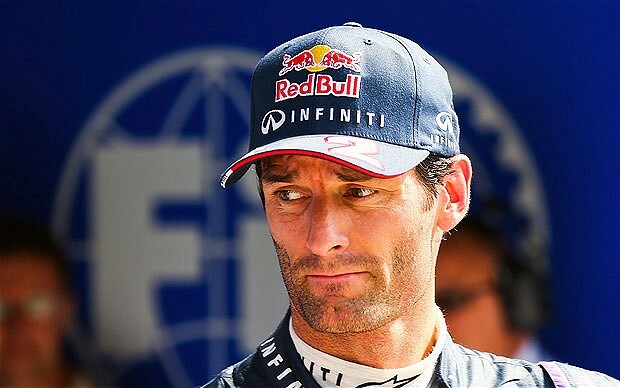 Without taking it away from any if the other F1 drivers out there…it’s safe to assume that because Webber is the oldest he also has the most distrust of the technical wizardry that rules the roost these days. I may be wrong, but…. When anyone gets to a certain age, with responsibilities, they like to take a step back and admit that family comes first. F1 doesn’t give you that option…and the alone time living out of hotels must get wearing. Things won’t automatically change at Porsche, but they’ll certainly have a different outlook on the work/life balance. It’s safe to say that Webber has had less success than expected in the past couple of years. Ultimately, without motivation and the mental strength to carry on in the industry, success won’t be there, and he’s far better off finding an avenue to pursue which makes him feel passionate about racing again. Any more reasons you can think of? Don’t forget to let us know on Twitter, Facebook or Google +! 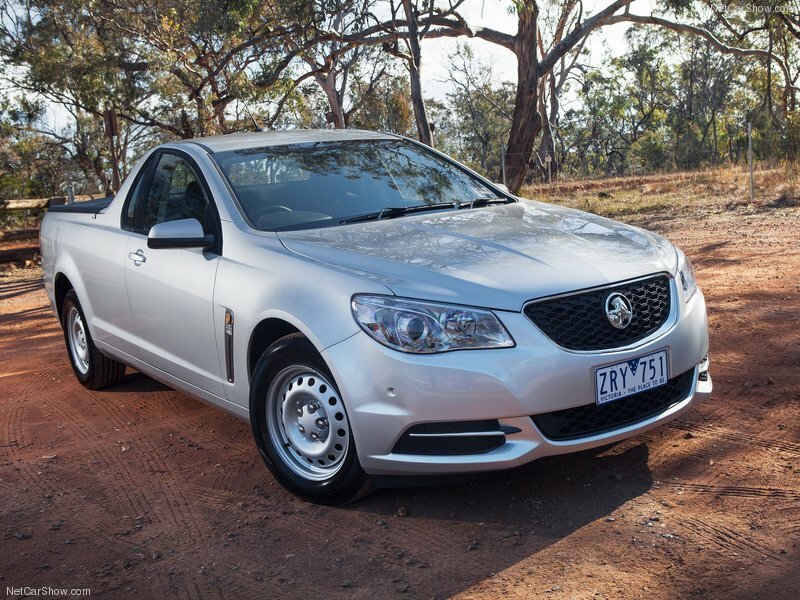 A two door car with a huge boot: it’s goodbye to the ute. 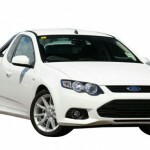 News released on the 27th October comes as a bitter blow for those that like their two door cars with a huge boot; Holden has decided, along with Ford, that the humble yet much loved ute will cease to be from 2016. To blame are a number of factors but chief amongst them appears to be our free trade agreement with Thailand, where the majority of our traybacked vehicles are sourced from. 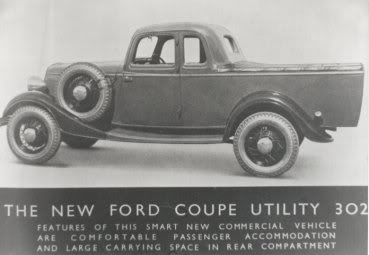 The “coupe utility” was born right here in Australia; the well worn story has it that Ford designer Lew Bandt developed the vehicle in response to a request to Ford Oz HQ, asking for a vehicle that could take the wife to church on Sunday and the pigs to market on a Monday. 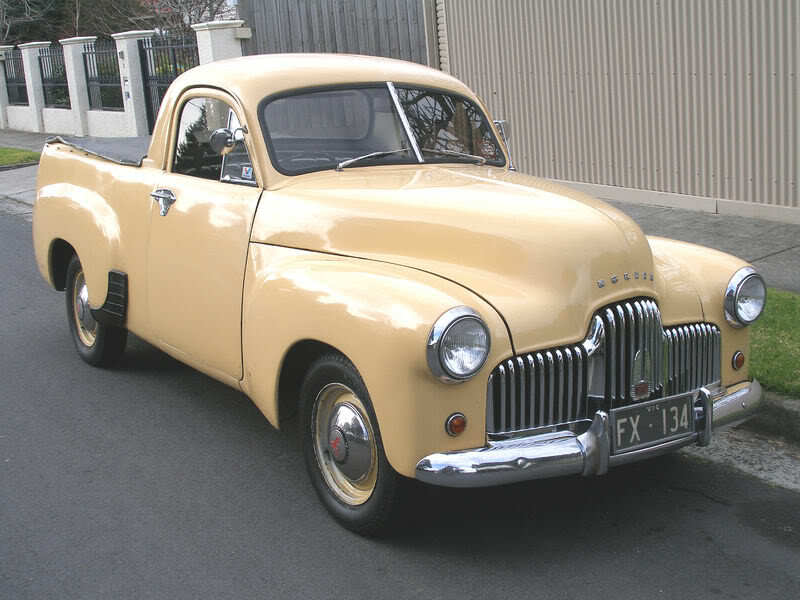 This was in 1934, well before any American based designs and ahead of Holden, which released its own ute in 1951, on the 48-215 chassis. The ute has been a staple part of the Aussie carscape ever since, in two and four form and in two or four wheel drive configuration. Both Ford and Holden tried the high rise look, to limited but cultish success, but it’s been a slow decline for the ute. 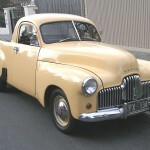 As one in five new vehicles sold in Australia are sourced from Thailand, with under one in ten vehicles delivered sourced from an Australian manufacturer, the numbers simply no longer stack up for Holden and Ford (Toyota and Mitsubishi never built a ute but Chrysler did) and with the mooted change to a front wheel drive large car for both, there’s no plans for a ute. 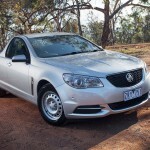 As it stands, the Holden Commodore ute is down by a frightening 31 percent in year to date figures whilst the VF sedan and wagon are up by 15 percent with the irony being the ute is effectively based on the wagon design….Since the beginning of the year there’s been over 100, 000 Thailand sourced 4WD utes compared to 4100 Holden and 3500 Ford utes. The situation Australia faces can be said to be dire when it comes to local manufacturing; the Button car plan is seen as the root cause now for the decline of our car industry and with manufacturers outside of Australia utilising a zero percent tariff costbase in Thailand, there’s been no real protection for Ford and Holden. Come 2016 it will be a sad goodbye to our two door car with a huge boot, the ute. Range Rover Tackles The Empty Quarter: Should We Be Impressed? It’s also the part of the world which has the richest oil reserves, and has kept the petrol dollars pouring into Saudi Arabia, the Emirates, Yemen and Oman. It’s in this environment that the Land Rover/Jaguar group wants to set a new record. Using a standard production Range Rover Sport, they’re going to try crossing this desert in record time. It’s going to be 1000 km of hot dry driving in terrain that’s usually tackled by specialist sand machines. Behind the wheel will be a Spanish veteran of the Dakar Rally by the name of Moi Torrallardona who’s used to tackling this sort of terrain. The record attempt is nicely timed so that, if all goes planned, the new Range Rover Sport that did the crossing will turn up as the Dubai Motor Show starts, all ready for interviews, photos and general oohing and aahing. To motorists in the UK, where Jaguar/Land Rover is based, this desert crossing sounds very romantic, adventurous and exciting, along the lines of the first few paragraphs of this article (which were quite fun to write). Will they do it or won’t they? Can they cross a desert that’s the size of France? To them, it’s an epic struggle of man and machine versus towering sand dunes, trackless wastes and scorching heat. However, I’m not so sure if we ought to be quite as impressed over in our part of the world. We’ve got a larger sand dune desert in the form of the Simpson and the largest sand dune to boot, and they’re just as trackless as the Empty Quarter. And we’ve got them all in one country rather than four. 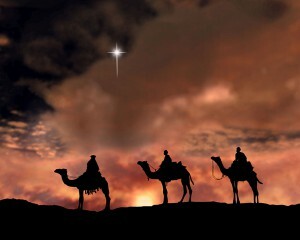 We’ve even got the camels. And a few of our park rangers probably have more experience in driving through sandy desert conditions than Señor Torrallardona. OK, top marks to Jag/Landrover for an attempt to cross the Empty Quarter in record time in a production vehicle rather than some customised thingummy. It’s a good road test to see if the new Range Rover will be suitable for these conditions. Those interested in getting a vehicle for Outback operations may be interested in the media releases from Jag/Land Rover on November 4th. Or you could just take a look at the results from what could be called the “Down Under Dakar”: the Australasian Safari. This is an annual 4×4 (and dirt bike) race that’s usually double the distance that Range Rover’s attempt, and has been running for the last 28 years. A quick peek at this year’s results reveals not a single Range Rover or Land Rover in the finalists, but plenty of Toyota Hilux, Nissan Patrol, Isuzu D-Max and Mitsubishi Pajero examples, with a few other vehicles thrown in for good measure. OK, Range Rover, there’s your new challenge! I am not usually someone to point out the obvious, but there are times where necessity overrides my nature. Driving is one of the great pleasures of the modern age. Nothing compares to the liberation and joy we feel behind the wheel of our very own dream machine. 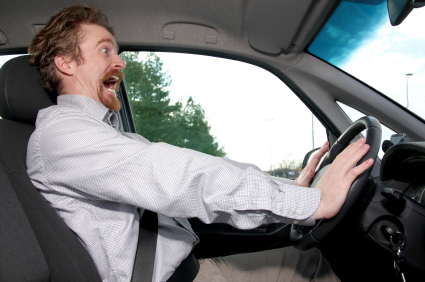 We may not realise it, but driving gives us all a surge of confidence. We have the control. We have the power. We own the road. …well I thought I did. When I am behind the wheel, I am the Lord of my machine. Until of course, the form that materialises in the passenger seat is that of my dad. It would only now seem fair that I provide some context to this seemingly confusing statement. At the end of the day, this is either a problem suffered by us all, or it may just be me living in my own world of eccentric dazzlement. First, it is time to take a holiday into the dark depths of the past. When I was a young lad, my father defined what life was for me. As with any child, he was my dad, friend, hero, you know, all that classic cheesy stuff. One of the most important things however was the fact that he was my ticket to the rest of the world. Wherever I needed to go, he was my ride. He was my taxi driver, my fountain of driving knowledge, and of course my ride home. As much as I have always been an independent little so and so, there were times when a bus just would not cut it. When the ripe old age of 17 came and slapped me in my confused little face, the time had come for me to learn to drive. But that is another story. A year later I had my own license and very quickly, my own car. And with that, my dad’s services were no longer needed. It was at this time that everything began to change. A deep grumble in the very fabric of my family. A power shift turned everything I once knew on its head. The worst part was how it crept up on me. My innocence shattered forever. Suddenly he asked me for a lift. Everything I once knew had changed forever. The only way I can attempt to explain just how terrifying this felt is by means of a comparison. Let us just take a second. Imagine if you will your ultimate music hero. Whether it is your Beatles, your Queen or your Rolling Stones does not matter. But imagine if you will performing for them. The very thought of that sends a pang of terror to my bones. And driving my dad absolutely anywhere is that exact same feeling. I would like to think that 99.9% of the time that I am actually a very good driver. But as soon as my dad sits down next to me in my car, I turn into a pile of brain dead bone and tissue. There was one time where I literally forgot how to drive for a good few minutes. How he did not notice I will never quite know. But for that I am massively grateful. …yet here I am writing this very blog with the full knowledge that he will get to reading this. I really did not think this through at all now did I? I really wish I could explain it. But there is something about driving a man who I respect so much that does bring the nerves in the truck load. I have been having to do this now for around 4 years and even now I still struggle to keep my cool. There are times when my dad does actually compliment my driving, but even so I still feel that he is just being nice. I really hope that it is not just me who has these feelings. Where better to share my thoughts than somewhere as great as Private Fleet. Please feel free to contact me if you have any thoughts! Holden’s had a shot before at a small SUV; last time around it was the Suzuki Ignis based Cruze (yes there was a Cruze before the Cruze…confused?). This time around they’ve ‘roided up the Korean sourced Barina and called it Trax. I back to back the entry level LS and top spec LTZ. Anyone that’s driven the Holden Cruze (the new one, not the old one) with the original 1.8L petrol engine will be instantly familiar with the heart of the Trax. It never received good reviews and won’t here. It’s underpowered, undertorqued and should be six feet under. There’s just 103kW at 6300rpm and 175 torques at 3800 rpm. With the option of manual and auto for the LS and auto only in the LTZ (auto supplied), the slow revver just fails to deliver pizzaz, pop and pow. The automatic transmission is fitted with six ratios which, at least, use what’s available (60kmh equals 2000rpm….) and the driver has the choice of allowing the ‘box to do its own thing or manually changing via the oddly sited switch (ala Malibu) on the top right hand side of the lever. There’s no real advantage to using the manual shift (slow, ergonomically awkward) nor does it make any sense (unless to NOT encourage people to use it) to place the manual selector switch where it is. Left to its own devices, the transmission offers an odd mix of short/sharp or hold and delay changes. One would hope that the 1.4iTi and 1.6iTi plants plus the diesels available overseas will make their way into the range, sooner rather than later. It’s coarse, thrashy, unrefined, even the 1.8L in the Camira sounded smoother. As you’d expect there’s a strong family resemblance to big brother Captiva. The haunches are bulbous and rounded, the proportional profile is not unlike the Captiva (moreso 7 than 5) whilst the front end, signed off by the international consortium as using the Australian nose design, which in its own right has a resemblance to the Malibu, is a shocker. Is it pretty? Hell no. The headlight cluster design is myopic, bland (black trim in the LTZ would have helped differentiate) whilst the actual nose is blunt, bluff and upright with the chin of the bumper given more depth than what looks nice, plus scrapes easily on the road coming off a driveway kerb. The rear is better integrated and the saving grace along with a sensible looking window line plus the LS gets full black plastic as opposed to the LTZ’s alloy insert. 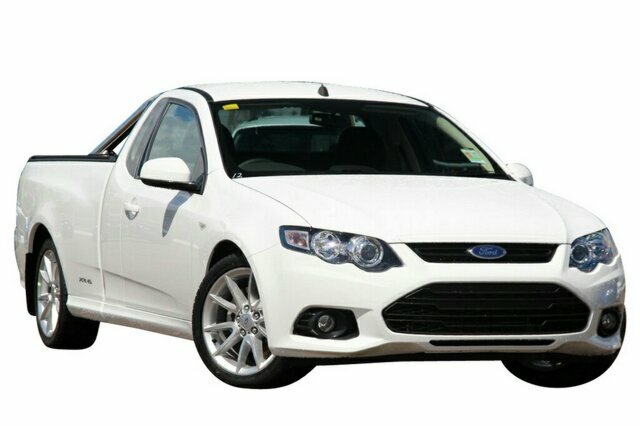 Overall look reminds me of the Suzuki SX4 or the original Cruze. Straight up, what greets the driver’s view gives no doubt as to the vehicle’s roots; the dash display is an almost cut and paste from the Barina, with the same motorcycle style look plus a couple of tweaks to the colour. The centre dash console is clean, simple, well designed and comes complete with a seven inch touchscreen entertainment and MyLink system, complete with the Pandora, TuneIn and Stitcher and more apps accessible via a compatible smartphone, once they’ve been downloaded into the phone though. The USB port is hidden inside a small storage locker just in front of the passenger seat and there’s a centrally mounted spot high up in the centre of the dash for, presumably, sunglasses. Just to the sides of the screen are two holes where one would expect aircon vents would go, circled in brushed aluminuim plastic while the centre console doesn’t have a raised storage section but does have a power point (and FOUR drinks holders!!!! ), only suitable for an overseas (non Australian)plug. If it’s not suitable for us, why bother fitting it? It’s spacious enough inside, with room for four comfortably and plenty of head/shoulder room in the front while the rear seat squabs fold out and up to provide a flat load space with the uprights folded. The seats themselves are comfortable enough but aren’t outstanding either, lacking support to the thighs and around the thorax and the print is a simple square motif spread throughout the fabric in the LT while the LTZ gets the faux leather look and heating as well. Boot space is decent for the size of the vehicle and the load height is just about spot on. The actual dash structure mimics the Malibu with the double flying buttress design and doesn’t look all that bad, terminating in retro style airvents either side but the plastic itself is that old style hard crocodile print style. An interesting side point is the headlight switch, which on Auto, in the LS and LTZ, has a set of driving lights activated and based in the cluster as they’re not in the bottom corners of the bumper in the LS but you do get the normal bumper mounted lights in the LTZ. Simple yet smart. There is a reverse camera as standard but for navigation you need to download an app….huh? Quick steering, a supple ride, a lack of road noise, a lack of crash thump from speed humps add up to be the surprise part of the Trax. It’s fingertip light in the steering, not requiring too much effort at all plus the ratio is fast, with what feels like a half turn lock to lock. It’s a lovely, smooth ride and the suspension is a delight, isolating speedbumps and helped, somewhat, from the Continental tyres at 205/70/16 in size (LS with 215/55/18s on the LTZ and five spoke alloys), with the sidewall height adding a measure of smoothness and, I suspect, the grip when punched hard into tight turns with a minimum of squealing. Although, ostensibly, a SUV, the LS is front drive only with no 4WD mechanism at all, not that it could with such a deep front dam anyway. Acceleration is leisurely, as mentioned, with the gear change slurry on the up shift whilst coming down a hill and under brakes, it will downshift and hold the gear which does aid in braking, to a point. Under full welly, the motorbike look speedo shows numbers changing marginally quicker than what it feels via seat of the pants, oddly enough, but with the aforementioned cacophony from up front dulling the aural experience the overall presentation is, as they say, meh. There’s a compass thrown in, for good measure, on the LTZ but in the simple old style LCD font only. It’s a strange mix, with a feeling of something good and something a bit confused. If history is any guide, the Trax won’t sell well, based on looks; having said that, the old phrase “beauty is in the eye of the beholder” may have something to do with it. Ford and Mitsubishi found out the hard way that a physically average looking car hurts sales. For me, the Trax’s biggest issue is the front end and primarily the headlight cluster; it’s just ugly and simply does nothing, in my eyes, to help present the car to those that want a decent overall package. Sure, it’ll be bought by those that want a point to point carriage, much like those that think a certain small car from Japan is the bastion of high tech. The tight handling and above expectations ride will mean nothing to those willing to overlook the “take no prisoners” bluffness of the front end with its Clarence the Cross Eyed Lion headlights and the archaic performance of the 1.8L. Priced at (depending on where you live) around the $27K mark including ORCs for the LS manual and near nigh $30K for the auto with premium paint, with the LTZ over $32K, it needs a sharper set of numbers to be a serious temptation, considering the better Captiva 5 and 7 offers at the time of writing, with the 5 at $25K driveaway and the SX 7 at $28600 driveaway as well. Thanks to some collaborative work with our friends at Progressive Insurance, we’ve got the results of some very interesting analysis on the distribution of car makes by state or territory using the data from the 2012 Survey of Motor Vehicles by the ABS. Simply select the car make you are interested in and the map will show you the total number of vehicles registered in each state and the penetration – the number of that model of car against total vehicle registrations. South Australia is the hotspot for Holden ownership. In fact there are nearly 50% more Holdens per head of population, than you would find in Queensland. Loyalty to local manufacturing perhaps? Are the British expats in Western Australia responsible for the high penetration of Land Rovers? And if you own a Citroen and live in the Northern Territory… well you’re one of only 35! 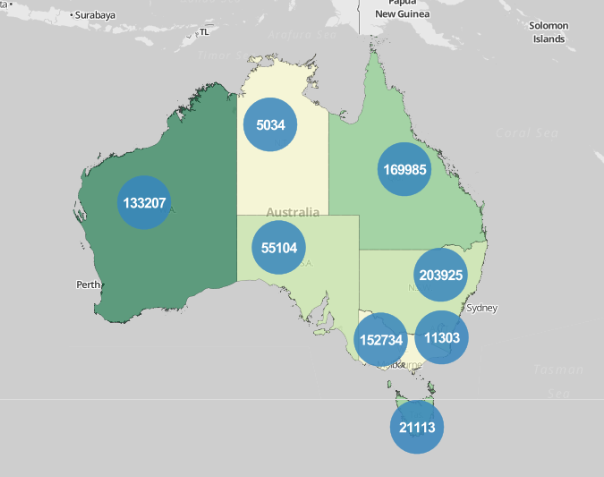 It’s an interactive map so please have a play around with the figures and see . Choose a make on the left-hand-side, check out the numbers of vehicles registered then hover over each state to see the percentages. Pop back here and let us know what you found! First of all, I’d like to pass our best wishes and sympathy to the people in the Lithgow area of the Blue Mountains who are having to cope with all the bushfires and possible evacuations. If you have been evacuated, please take care on the roads, as traffic accidents are probably a bigger killer than fires. And those who live in the areas where the refugees from the fires have come to, mind out for the extra traffic on the roads with all the extra people. In my last blog, I discussed the issue of lightning striking when you’re out driving. However, this isn’t the full story about what you need to know when driving in a storm, as the heavens can throw down a lot more than just a few bolts of lightning – and don’t we all wish that a good storm or three would pour down on all those fires! Heavy rain and hail can also be a bit tricky to negotiate if you’re driving in a storm. 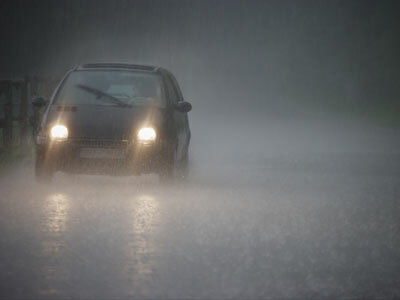 Thunderstorms often bring startlingly heavy precipitation and it often dramatically cuts down visibility, even if you have your windscreen wipers going full bore. It’s often a good idea to put your headlights on during a storm, especially if you’ve got a grey car that’s hard to see against a leaden sky. If the precipitation gets really, really bad, pull over to the side of the road until the storm passes. The good news is that they often do pass by pretty quickly. Hail can be a bit alarming to have falling on your car. In a really heavy fall, you start to wonder if it’s going to smash your windscreen, and you start thinking about hailstones the size of eggs (they’ve happened). It is possible that heavy hail could crack your windscreen and/or dent your bodywork. Thankfully, this is something that the insurance people are usually reasonable about. Once the hail has fallen, you then have the hazard of pellets of ice all over the road until the stuff melts. Take extra care when there’s hail on the road, especially with braking and cornering. Hail is more or less extra slippery gravel, especially if it’s managed to pile up a bit. Even if you drive a car made where snow and ice are more common and which has all the safety features (e.g. Volvo, made in a country that reaches into the Arctic Circle), you’re going to need to ease off a bit. Make that a lot. You also need to take extra care if there hasn’t been any hail but just heavy rain. One of the downsides of living in towns with all the paved roads is that rain doesn’t sink into tarmac the way that it sinks into plain dirt. The upside of this is that city roads don’t turn into mud pools of the sort that a lot of back country drivers have seen in the wet season. The downside is that all that water has to go somewhere, so flooding becomes more likely. Increase your following distance – it should be double what you normally allow. No sudden movements for braking, steering or acceleration. Traction control and ABS brakes can only do so much. If you do have to go through a puddle because the road has been flooded, pump your brakes lightly on and off after you’ve gone through so you can dry the brakes out a bit so they work better. Water is a lubricant, after all. Hidden Speed Cameras: Safety vs Revenue. In kinematics, the speed of an object is the magnitude of its velocity (the rate of change of its position); it is thus a scalar quantity. The average speed of an object in an interval of time is the distance travelled by the object divided by the duration of the interval; the instantaneous speed is the limit of the average speed as the duration of the time interval approaches zero. Like velocity, speed has the dimensions of a length divided by a time; the SI unit of speed is the metre per second, but the most usual unit of speed in everyday usage is the kilometre per hour or, in the USA and the UK, miles per hour. For air and marine travel the knot is commonly used. Or more simply, A cyclist who covers 30 metres in a time of 2 seconds, for example, has a speed of 15 metres per second. Basically velocity over distance in a time frame. In Australia, we measure our speed as kilometres per hour, so fifty kilometres per hour is fifty thousand metres of distance travelled every 3600 seconds. This equates to be 13.888 metres every second. 80 k’s per hour is 22.222 metres per second and 11o is 30.555 metres per second. Ok, we’re clear on that? There are those that say that if you don’t speed then you won’t receive an infringement. True, undeniably true but it sidesteps what the argument is all about. There’s also the ubiquitous and well worn “speed kills”. Let’s put this into one context: if a driver travels at 60kilometres per hour in a rated zone of fifty kilometres per hour, that driver is, technically, speeding. If the driver is doing the same speed, sixty kmh in an 80 kmh zone, the same speed remember, they’re not speeding. So, according to convention, the media, the police etc, the first is dangerous yet, somehow, that same velocity over distance per time isn’t….back to “speed kills”….which speed, exactly? Our residential roads are zoned at 50 kmh. Our highways are zoned at either 100 kmh or 110 kmh. Travel at 80 kmh in a 60 kmh and you’re speeding BUT in order to achieve a speed of 100/110 kmh you not only have to reach 80 kmh but EXCEED that speed. So what is dangerous, 80 in a 60 or passing that formerly dangerous speed to one that is deemed safe???? Under normal and everyday circumstances, a human is experiencing a G force load of 1G. Deceleration also involves G force and the higher the deceleration the higher the G force. To be slightly technical: The expression “1 g = 9.80665 m/s2“ means that for every second that elapses, velocity changes 9.80665 meters per second (≡35.30394 km/h). This rate of change in velocity can also be denoted as 9.80665 (meter per second) per second, or 9.80665 m/s2. For example: An acceleration of 1 g equates to a rate of change in velocity of approximately 35 kilometres per hour (22 mph) for each second that elapses. Therefore, if an automobile is capable of braking at 1 g and is traveling at 35 kilometres per hour (22 mph) it can brake to a standstill in one second and the driver will experience a deceleration of 1 g. The automobile traveling at three times this speed, 105 km/h (65 mph), can brake to a standstill in three seconds. For humans, death or serious injury occurs with a G force rating of >25G. So, clearly, it’s neither speed (to keep it simple, let’s presume a constant velocity therefore a G force of 1G) nor acceleration (as even the space shuttle was kept to an acceleration G force of less than 3G), that kills people, it IS the sudden stop. To use a somewhat graphic yet famous example, the crash that took the lives of Princess Diana and Dodi Fayed was estimated to have a G force factor of 70G to 100G…. 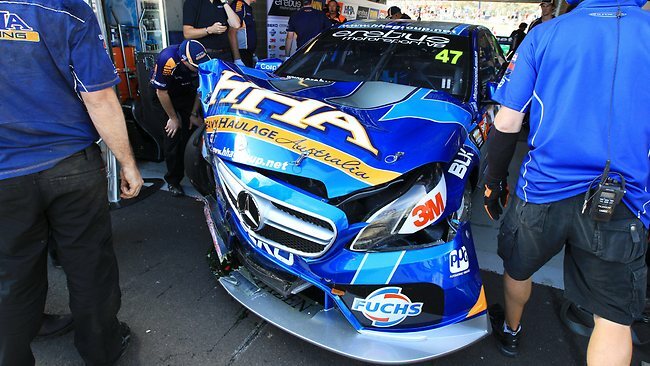 The Bathurst 1000 event over the weekend of 11-13 October 2013 saw a number of crashes, including young drivers Tim Slade and Chaz Mostert. It was estimated that the G force shunts for both was around 30G. Now, here’s the rub; the vehicles they are driving are built and engineered with what is considered high speed in mind. Also, the safety mechanisms we take for granted, primarily airbags, are removed BUT they have super strength seatbelts in a configuration known as a four point harness. Relative movement or slackness of these belts is hugely minimal compared to the seatbelts in cars (http://hyperphysics.phy-astr.gsu.edu/hbase/seatb.html) therefore their bodily movement will be severely reduced. As a result, a combination of that primary safety factor and car construction aided in reducing serious injury, to the point both drivers reported bruising and some aches, but nothing worse. So speed kills? No, it doesn’t. Clearly, obviously, provably. Therefore the argument for restricting speed limits and using speed cameras has serious opposition. 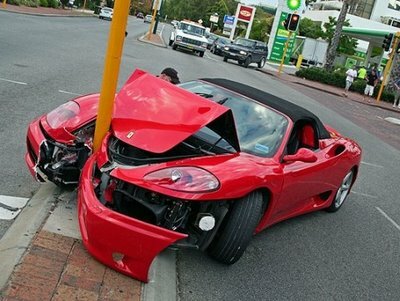 Therefore the argument for speed cameras to stop speeding is invalid. An example: a driver is travelling a road zoned at 110 kilometres per hour in dry conditions and 100 percent visibility (the caveat). It’s raining, it’s foggy and it’s dusk. Visibility, even with headlights on (a safety factor badly overlooked) is 10 metres. Remember that 110kmh is 30 metres PER SECOND. Is it safe to travel at 110 even though that’s what the signs say that driver can do? But if that driver DOES travel at 110 they aren’t breaking the law and therefore not subject to receiving an infringement. But is it SAFE? By no sensible reasoning should this be seen as safe. Road limits are set for the presumption of 100% visibility for the direction of road travel and road design and the surrounding area and in many areas they are too low. So: speed cameras are used to restrict excessive speed, with posted limits set under what is presumably the best conditions, with one unassailable fact, the biggest chance factor of all: how good is the driver? Anyone that races at Bathurst is there because, not only can they race, they can handle speeds that the authorities would have us believe is dangerous. Remember, the majority of the year sees the track a residential road, with a posted limit of just 60 kmh. If speed kills, then why are all the drivers that raced this year still alive? 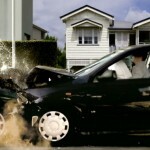 No, it’s not a petty and frivolous question, as we are told, repeatedly, speed is dangerous…..but to who? Certainly not Mark Winterbottom, certainly not Warren Luff, certainly not Andy Priaulx. Speed cameras are used to control speed, they don’t control bad drivers. Well trained and educated and AWARE drivers are so much more safer to deal with and they can deal with speeds others can’t. 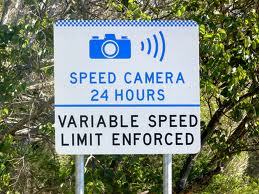 There is no justification for speed cameras in many locations but yes, in some places they should be mandatory. 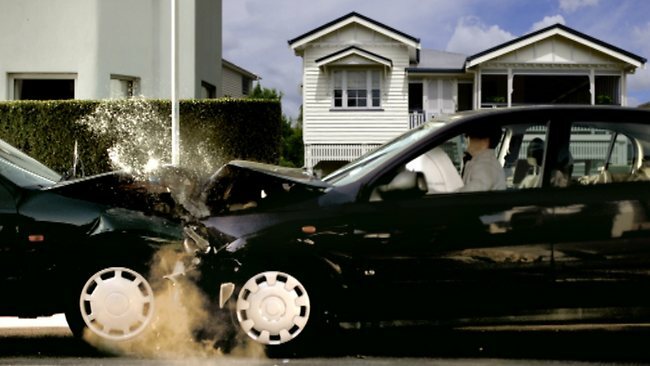 According to the Bureau of Statistics, in 2010, a staggering 44.2% of fatal crashes were a single vehicle crash, whilst 42% were multiple vehicle. The inescapable fact is these crashes have one common cause or factor and it’s not speed. It’s a bad driver. In the same year, at speeds of up to just 60kmh, the equation was 28.3% of fatalities occurred in that grouping, whilst in the sixty five to ninety zone it was 22.4%. What’s more frightening is the change of numbers in the Northern Territory; in 2009 it was 13 people per 100000 that were in a fatal crash. In 2010, it jumped to 21. Those numbers increased almost year by year after the unlimited roads were changed to a maximum of 130 kmh. Time of the crashes is also an important factor: in 2012 there were more fatalities in NSW between 12 and 1 pm (30) than at any other time of the day, with Victoria not far behind at 18 between 1 and 2pm. Neither could hardly to be said it’s peak hour traffic yet Allianz Insurance says the most common form of crash is the nose to tail. Guess when these are likely to happen? That’s right, peak hour. Speed doesn’t kill. Speed cameras do nothing to reduce the reason people die in a crash: the sudden stop. 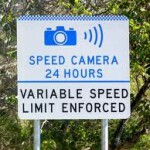 The Victorian police say they’re going to hide their cameras so the operators don’t get hurt by the occasional twit that’s just been nabbed speeding, presumably because 1) they’re a twit for not slowing when the sign says there’s a camera or 2) didn’t slow because they were too busy looking at their speedometer. It’s commendable but I’m sure you can understand the cynical laughs from those that can do what the law, ostensibly, wants everyone to do. Drive, rather than steer, a vehicle. One of the things about the warmer and more volatile weather of spring is that thunderstorms become a lot more common. Opinions are mixed about thunder and lightning (and hail and wind and…), with some people loving a good thunderstorm while others sit quaking like jellies with every roll of thunder. I’m in the former camp but every driver needs to know a thing or three about driving when conditions get a bit wild. First of all: the issue of lightning. What should you do if there’s a violent storm when you’re driving? Whatever you do, stay in your car. You may or may not be able to keep driving, depending on what else is going on. Even if your car gets hit by lightning, you will be safe as long as you’re not touching any metal. 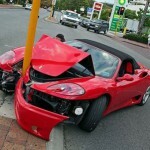 The car will take the hit for you thanks to the metal of the body, which will conduct electricity and help ground it. You might get a few problems with the electrics and the body work in the rare event that you get hit. Contrary to popular belief, it’s not the rubber tyres acting as insulators between you and the ground that make it safe for you to be in the car during a lighting storm. It’s the metal. A cage of metal around you acts like a sort of shield so the lighting hits it and not you. This is known to science buffs as a Faraday cage, and if you check out a few good BBC or Discovery Channel documentaries on weather and electricity, you can see people standing inside these cages – and not touching the metal – while artificially generated lighting crackles around them. But make sure that you are surrounded by metal – if you’re in a convertible vehicle, put the top up. Those caught out in a soft-top convertible have a bit more of a problem as here, you’re not completely surrounded by metal. In this case, your safest bet is to get to a decent shelter ASAP until the storm passes. A public loo or a bus shelter will do the trick. What if there’s no shelter in sight and you are out in a soft-top convertible? The various lightning safety websites I visited didn’t really give an answer to this one, but going by the advice they give for other situations, I guess the best thing to do would be pull over and get your body as low as you can. The front pillar in most convertibles is usually the highest part of the vehicle (you see a good example of this in the picture accompanying our VW Golf Cabriolet review ). This suggests that this will be the point struck by lightning, so keep well away from it as much as possible and don’t touch anything metal. The odds are in your favour and you might not get hit, so try not to panic. Whatever you do, stay in the car! It’s a smart idea to switch your car radio off during a thunderstorm and to put down your aerial. Those with integrated permanent aerials in their cars might have a bit of a problem. Anything that sticks up attracts lighting. They also say that it’s wisest not to use a phone, even a cordless phone. And if your car does get struck by lightning? The amount of damage does vary. You hear stories ranging from the tyres blowing out (all four of them) and the electrics getting totally fried, through to next to nothing happening. 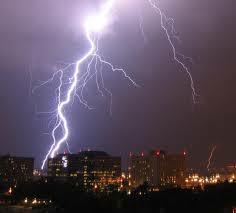 Just as well that most car insurance policies do cover lighting strike! Holden are in uncertain times in Australia, but there’s no doubting that their history is as varied and interesting as it comes. It is widely recognised as being ingrained into Oz culture – this infographic takes a look at the history of Holden as a car manufacturer, with images of many of their marques over the years. Missed any or like to let us know of anything? Contact us on Twitter, Facebook or Google +!